Microsoft has announced, revealed and unveiled the details of the April Xbox Live Deal of the Week program. 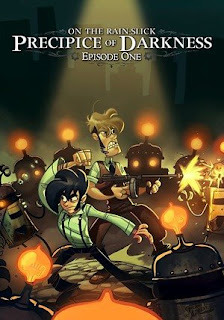 The best of which is the Penny Arcade Adventures, a sweet game that I've been putting off picking up since it was released. For the rest of the month, you can find a few more deals. Starting April 13th, you can download Ghost Recon: Advanced Warfighter 2 Co-Op collection (typeful) for 320 points. Week after that, The Spyglass Hill Golf Course add-on for Tiger Woods 09 (400 points) and lastly, the deals end with NBA Live 365 Subscription add-on for only 560 points.